All of the numbers have Deco in front of them. If I find any more I will add them to the list. Teal is another-- I have Teal 00061 in my notes. Hmmm my thoughts are that the Hospital Colour Glaze Vit 305 is the Vitrified Teal glaze, as it often gets called the Hospital Glaze. 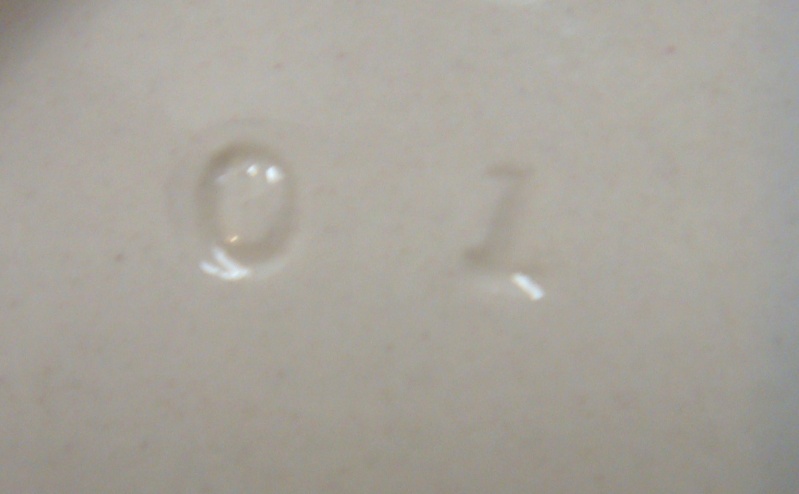 I think the Vitrified glazes will have different numbers to the Earthenware colour glazes. To prove this theory I need some time to find another number for Rusticanna and I won't have time until Sunday. So that kind of proves my theory really, but more research needs to be done! 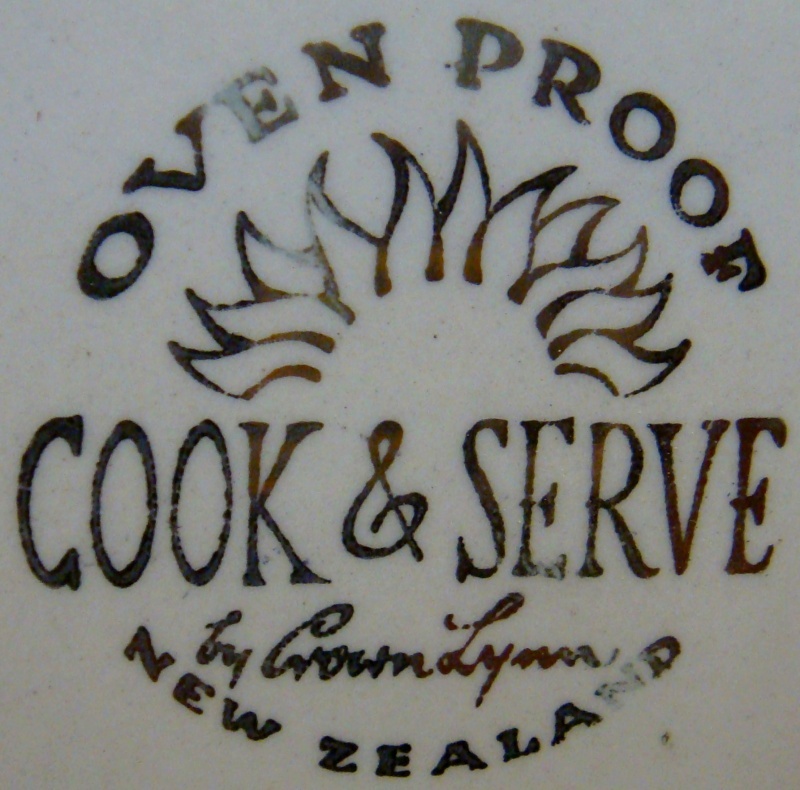 On the shape guide, some shape number have letters E and other a V I took to be Earthenware & Vitrified Wonder if the O was for Ovenware? 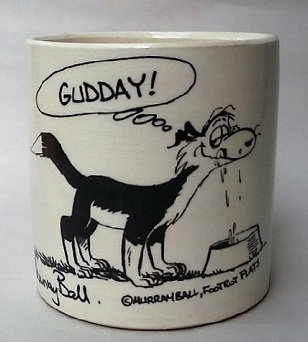 "I think the Vitrified glazes will have different numbers to the Earthenware colour glazes." I had previously notice variations in Tango Blue when trying to match a tulip set with a B&B. This might be the place to discuss that. 1. Tango Blue on an E/W Roydon South Pacific B&B is Pat. No 379. 2. Tango Blue on a vit Cook & Serve can appears to be the same colour. 3. Tango Blue on a rimmed dishwasher safe B&B is d00060, and presents as a different, DARKER colour. 7. Tango Blue on the lid of my Cook & Serve mustard pot (vit) is even LIGHTER than 1 & 2. 10. 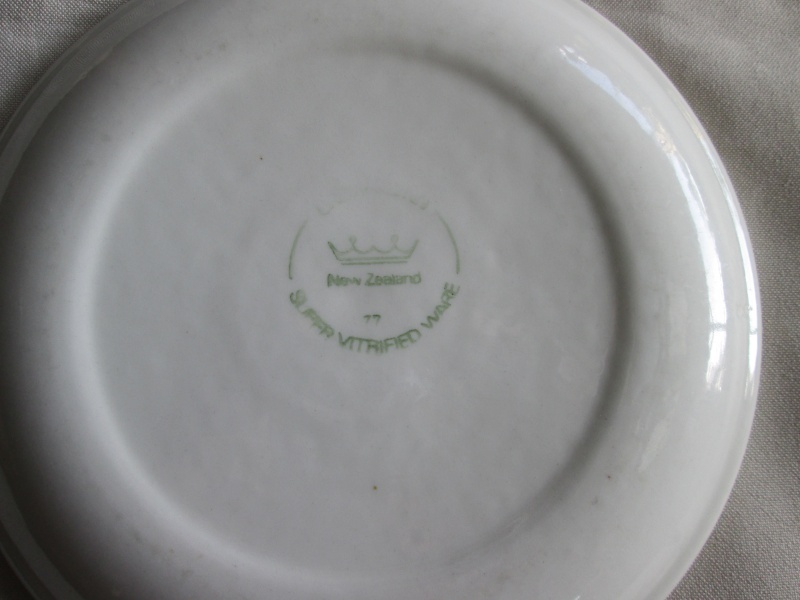 Old stamp Colour Glaze Tango Blue salad bowl (E/W) appears to fall between 2 & 3. YES! This is all very confusing. In summary there are two Tango Blue pattern numbers and there are items of vitrified china and earthenware that match both. Some Tango Blue items appear to match neither. 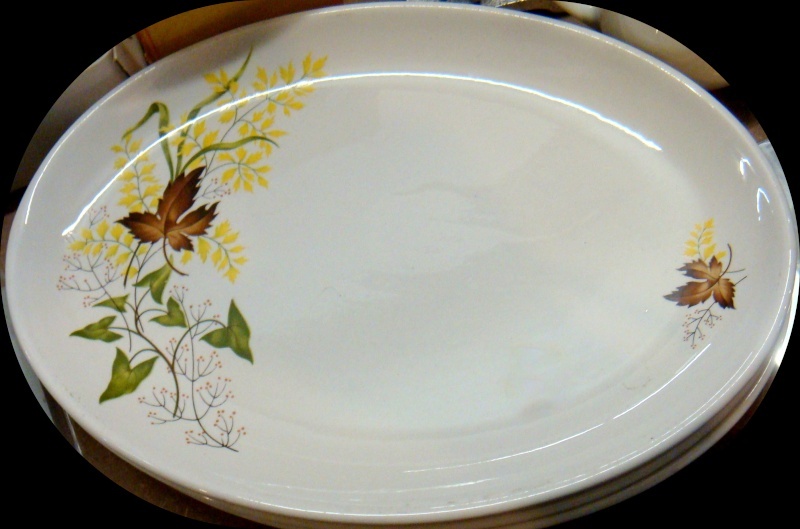 On some vitrified wares the colour is lighter than both. 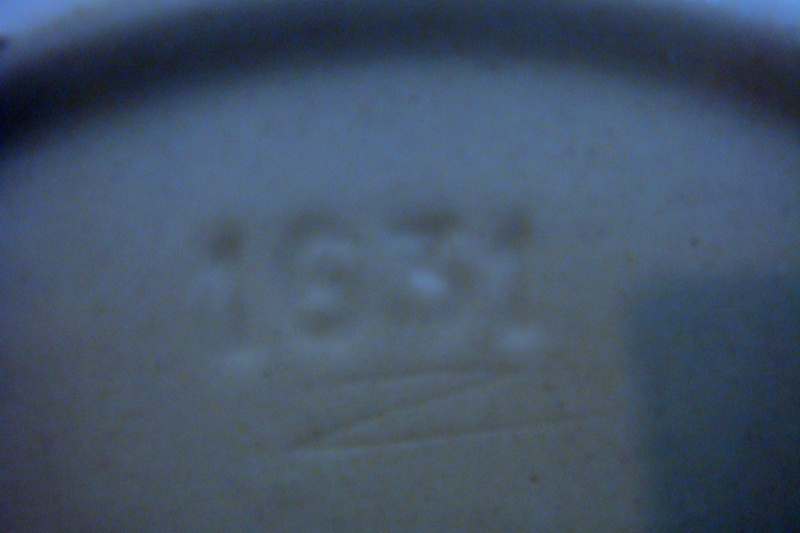 On one earthenware item the colour falls between the two pattern numbers. This is probably no help at all!!!! but looking through my notes I found I have written " 270 Teal vitrified on a 3620 cup" which would have come out of the deco advice book. Does that help Ev? oh course 3620 is a cup that we have to identify! but 270 is a different number again..
well must go and do some jobs! A list of Vitrified Glaze names that don't have numbers but there are photos of the patterns ... thanks to the Portage Museum !! I must get on with identifying these, but it doesn't look easy as cameras have such a variable colour range! 16.3cmD Is this Lime 00054? 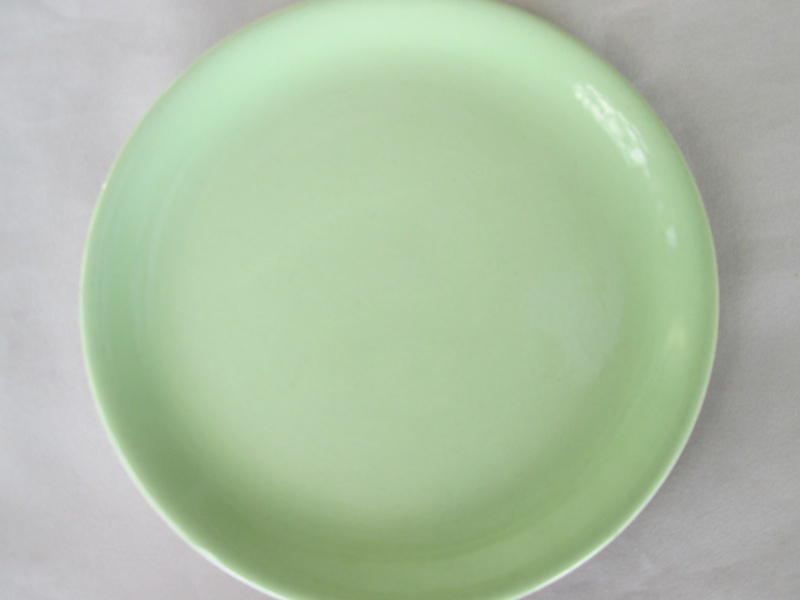 also this colour is same as the other Lime plates I have in Earthenware..